One of the oldest reserves in Africa, Hluhluwe-Imfolozi Park is home to the big five and has a host of other animals to keep you enthralled and amazed. Game reserves are great for bonding while appreciating nature and being outdoors. With many options available including day tours, accommodation and even night and boat safaris offered, it’s a once in a lifetime opportunity to experience. Situated near the border of Lesotho this Another beautiful and natural place known as one of the places where you could hike for days without meeting another soul. It’s a part of uKhahlamba Drakensberg Park (a UNESCO World Heritage Centre). McKenzie’s Caves are situated in this area which is a well-known highlight. There are caves available for hikers to camp in if being active and beautiful scenery is what you consider fun. If you’re keen on exploring exotic animals, then Joburg Zoo is the place for you to be. With numerous attractions such as Amazonian animals like Spider Monkeys and Pumas to one of the 11 lions or even the wide range of apes at the Ape House. There’s even cheetahs, crocodiles and other reptiles. if you’re lucky you could catch the Croc feeding times. If larger animals or predators are not for you then you can visit the Farm Yard with a Shire horse and a Shetland pony. It’s best to take a good few hours to enjoy the magnitude of the Zoo. Another exciting place to visit in Gauteng is Gold Reef City. Whether you’re interested in visiting a thrilling casino or watching A-list shows at the Barnyard theatre or most exciting spending the day experiencing exhilarating theme park rides with upto 16 rides that are bound to get your heart pumping and adrenaline coursing through your veins. These are just some of what Gold Reef City has to offer. Ushaka marine world not only has a world renowned aquarium and theme park but they offer an exciting village walk with curio shops and access to Durban’s beautiful beachfront. With CK Tours you can plan a corporate outing or event, or even a school excursion or family trip to the beachfront and rest assured that we’ve taken care of your travelling needs so all you need to focus on is having fun. If locations are not your style then a bus around Durban and doing something fun for a corporate or team building event. We have a few suggestions to make sure that your team is happy and having fun. You could volunteer, do touristy activities and explore your city, or go go kart racing. with every event and outing we suggest you plan in advance and secure your bookings once you’ve confirmed the amount of people attending. Consider the venue: Is it large enough for the amount of people attending and does it have the type of ambience and atmosphere you need for the event? You wouldn’t host a pamper day for your employees near a loud city centre where they cannot relax due to the noise. Next, plan the activities: decide on what you’re going to do, who is going to facilitate it and keep in mind how long it will take to complete each activity. If you’re planning a timed activity you will most likely need an MC to usher along the progress so that time is not wasted unnecessarily. Consider introductions and icebreakers as well as allocating times for meals and breaks. After activities and the venue is decided upon, consider food. Make sure you cater to the dietary requirements of those who attend, since many have religious or health related diets that are important to be noted. Lastly and probably most important; transport and security. Safety is a big factor in any event, you should be able to secure a guard or private security company if need be to ensure that your event runs smoothly and without unnecessary accidents or incidents. As well as transport. How will you and your team travel to the venue? Do you have to pay attention to parking and the security risk associated with individuals cars being parked or would a larger vehicle that can transport many attendees at a single time to the event be better? 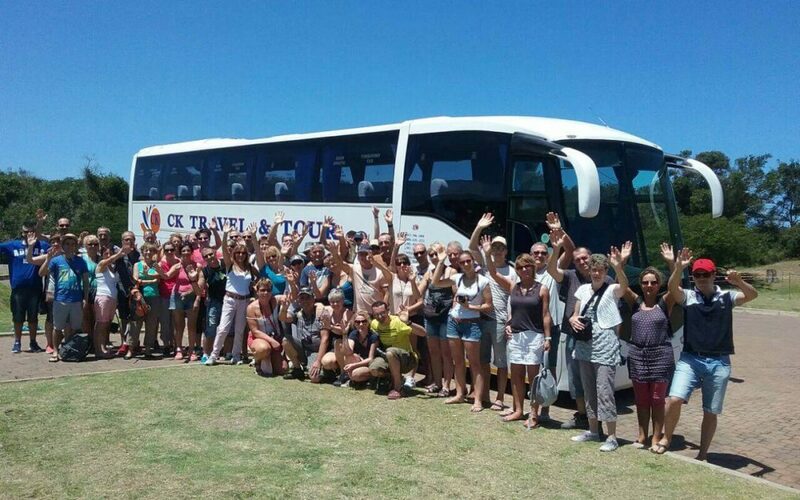 Our vehicles are clean, comfortable and perfect for corporate tours or day tours around Durban. Whether you’re keen on seeing the big five at a local game reserve or sight-seeing in the coast we’re happy to get you there safely and reliably, we have an impeccable track record and prioritize the comfort and safety of our customers.